Once you’ve completed your research about studying in Australia, you will need to decide the colleges you wish to apply to. This is an extremely important step as wise decisions made at this point of time can result in you getting into a college best for your aspirations. Even though international students are allowed to apply to as many Australian universities as they wish to, doing this is not practical due to the high amount of costs involved in applying to a single university. For example, the application fee for applying to the University of Sydney is 100 Australian Dollars. Ideally, you should finalize on a list of 4 – 7 universities that you’re going to apply to. Keep in mind that this list should be well ‘balanced’. A well balanced list will contain your top choice or first priority universities as well as universities that you will easily get into. Applying to a balanced mix of universities will help you avoid a situation in which you do not get an admission offer from any of the universities you had applied to. For example, if you apply to only the most reputed universities in Australia, but your class 12th results don’t turn out to be as you had expected, then there are a lot of chances that you might not get into any of these universities. Keep in mind that the level of students accepted by top universities is usually similar. Therefore, even if your results are as per your expectations, but a university does not choose to offer you a seat and prefers other candidates over you, then it is very possible that other universities will do the same as their requirements are generally similar. Therefore it becomes very important to create a balanced list of universities to apply to, which contains universities you’ll easily manage to get into as well as universities that are your first priority. What are the factors to consider while choosing which university to apply to? Choosing a handful of universities to apply to is not an easy task. Each university has its own pros and cons. There are various factors that you should consider while deciding which universities you will apply to. To gather information about different universities regarding these factors, you can go through their websites, visit education fairs and contact their overseas representatives/agents in India. It is ideal to consider the most important factors first and then move towards the less important factors while short listing universities at every stage. The factors you should consider are mentioned below. The first step comprises of short listing universities on the basis of the course you wish to pursue. There is no point applying to a university which does not even offer your course. This is the most important factor that you should consider while making a list of universities you will apply to. You should start off by removing those universities from your list that do not offer your preferred field of study. This is extremely important as not all universities offer all courses. For example, you might find a lot of universities for a course like Bachelor’s in Arts, but very few universities would offer a Bachelor’s degree in Music. Not only your course, but the course structure can also affect your decision. For example, you may prefer to study a normal 3 year course in Drama without an Honors option, as offered by the Deakin University, or you may wish to pursue a more detailed course in Drama, with an option of studying for an additional Honors year, as offered by the University of Queensland. Therefore, you will need to see the nature and structure of the course as well. Does the course cover all aspects of the subject you want it to? If no, then you should not consider applying to that university. The next step is to short list universities on the basis of their competitiveness levels. The ‘competitiveness’ of a university basically refers to how difficult or easy it is to get into that institution. The more competitive universities are the ones with the maximum number of applicants. Generally, the more competitive universities would be more selective and assess you on the basis of several factors including your academic records, extra – curricular certificates etc. Some universities might also require you to appear for an interview. What you need to do is find out about the general level of applications that are accepted by the university. A good way to do this is by going through the country – wise ‘Entry Requirements’ for your course. These entry requirements are mentioned on the websites of most Australian universities. The general entry requirements include a specified score in the English – language proficiency tests as well as a minimum required score in your Class 12th board exams. However, these requirements differ from course to course and university to university. For example, to study at the University of Melbourne, a highly competitive university, you would require an IELTS score of not less than 7 or a TOEFL (IBT) score of not less than 94. On the other hand, to study at the Edith Cowan University, a comparatively less competitive university, an IELTS score of above 6 or a TOEFL (IBT) score of above 70 will be enough. Your academic requirements also depend on the competitiveness of your course and university. For example, at the University of Melbourne, for the Bachelors of Arts course, the minimum entry requirement is 75% in your Class 12th board exams. On the other hand, for the same course at the Edith Cowan University, the minimum requirement in your Class 12th board exams is 65%. If your qualifications are below the minimum entry requirements for the course, then there is no point applying to that university as under most circumstances you will not be accepted. Keep in mind that even if your marks manage to meet the entry requirements, you are not guaranteed an admission. This is because your admission is also dependant on the other aspects of your application including extra – curricular experience, supplementary certificates, work experience etc. You should realistically assess your own qualifications and judge the strength of your application. Go through your portfolios, resumes, extra – curricular experience and supplementary certificates as well as your academic qualifications. It is only worth applying to a university if you feel that all your credentials and academic qualifications together make a strong enough application for that university. Some of the most competitive universities in Australia are the Australia National University, the University of Melbourne and the University of Sydney. Generally, if you have scored above 80% in your Class 12th board exams, then you should think of applying to the more competitive universities with 2 or 3 less competitive ones. However, if your percentage is lower than 80%, then you should apply to the less competitive universities with only 1 or 2 competitive ones. Keep in mind that this is a generalized calculation and does not apply to each course and each university. Short listing universities on the basis of their competitiveness levels would leave you with a list of universities that you have a realistic chance of getting into as you meet their entry requirements and other criteria. The next step is to select the universities with the best reputation out of the ones you can manage to get in to. Under most circumstances, the highly reputed universities are the ones that are excellent in terms of academics. Not only that, but big reputations also generally result in bigger salaries for students as the value of their degree increases. It is important to keep in mind that while the overall reputation of the university is important, the reputation of the course offered by that university is equally important. You might come across many universities in Australia that are not known for courses in one stream but are extremely reputed for other courses. Take the Royal Melbourne Institute of Technology as an example. As per the ‘QS World University Rankings - 2013’, it is one of the top 200 universities in the world for its Bachelors course in Economics. However, when it comes to courses in the field of Arts, the Royal Melbourne Institute of Technology is not that well known. Out of the universities that you can get into, choose the university with the most formidable reputation provided that it is also known for the course you wish to pursue. The next step is to short list universities on the basis of their cost. After selecting the most reputed universities out of the ones that you can realistically get into, you will need to choose the universities that are within your budget. This can be a difficult task, considering the various factors that affect the cost of a university. 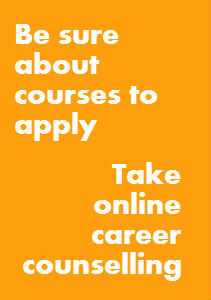 Go through the websites of the universities to find out about the tuition fees for your course. The tuition fee will depend on the course you wish to pursue as well as the university you wish to join. Some universities might be more expensive, whereas some might be comparatively cheaper. For example, a Bachelors of Arts course at the University of Sydney will cost you about 15,250 Australian Dollars per semester, whereas the same course will cost you approximately 9,000 Australian Dollars per semester at the University of the Sunshine Coast. Similarly, some courses will be cheaper, whereas some will be more expensive. For example, at the University of Sydney, the Bachelors of Arts course will cost about 30,500 Australian Dollars annually. On the other hand, the Bachelors in Medicine course at the same university will cost you about 40,900 Australian Dollars annually. Also, do not forget to go through the estimated living costs mentioned on the university websites. The estimated living costs in a city like Sydney will be much higher than what you would have to pay if your university was in a small town. For example, the annual living costs at the University of Sydney are around 25,000 Australian Dollars (including additional expenses like books, entertainment etc.). However, the annual living costs at the Charles Sturt University, Bathurst, New South Wales are estimated at around 18,610 Australian Dollars (including additional expenses). You should also go through the type of financial aids and scholarships available to international students studying at that university. Such financial aids might significantly reduce your overall expenditure and make studying at a particular university possible for you. The purpose of short listing universities on the basis of cost is to select the university which is within your budget out of the reputed ones that you can get into. The next step is to short list universities on the basis of their location from the universities that are within your budget. You should choose universities that are in a location that suits you either professionally, personally or both. For example, you might prefer to live in a big city, or your Agriculture based course might require you to stay near the countryside. The location of a university will affect your cost as well as your daily life. You might not prefer to live in a very cold place, and hence might choose to not go to a university in Tasmania. On the other hand, you might not want to live in a small town and therefore choose to study at the University of Melbourne, regardless of the additional expenses. Keeping your personal preference, professional benefit and budget in mind, you will need to select those universities that are in locations that suit you. The last step in this short listing process is to select the universities with the most vibrant campus lives out of the ones that are in locations that suit you. Most Australian universities have student groups and clubs in which students with common interests get to interact with each other and work constructively. Go through university websites to see the type of extra – curricular clubs and associations on campus. You should get the chance to explore other aspects of your personality apart from academics. Also find out about the number of international students on campus. You might want to join a university that is more international student friendly as compared to others. An active international student community at the university can help you adjust to campus life in your first few days in Australia. According to the ‘QS World University Rankings – 2013’, the Royal Melbourne Institute of Technology University (RMIT University) and the Curtin University are the 2 of the most international student – friendly universities in Australia. After having short listed universities on the basis of these above factors, you should have ideally come up with a list of universities that not only offer the courses you wish to pursue, but are reputed, affordable, situated in ideal locations, have great campus lives and are ideal according to your academic qualifications. Creating the list of universities to apply is a very important decision as you can only apply to a limited number of universities due to the high costs involved. You should not apply to a university unless you are sure that it meets your academic and professional interests. To help you with the application process, most Australian universities have ‘Overseas Representatives’ or agents in various cities across India. 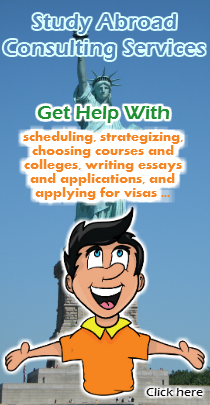 The job of these agents is to assist Indian students with the application process. Normally, a single agent handles the applications of multiple universities. These agents can help you decide the universities you should apply to on the basis of your academic qualifications and personal preferences. They will help you come with a list of 5 – 6 universities that you should apply to. However, we strongly advise you to visit at least 4 – 5 agents and consider the suggestions of every agent before deciding to apply.